Whether you’ve been on the road for years or just starting your career as a truck driver, you must have spent some time thinking about your own business. Putting in the long hours on the road and flexing your muscles when loading the vehicle might be fun. But won’t it be even more exciting if the profits were higher? If you have the dream, the guts, and the money (or a way to get it), you can consider becoming an owner operator. If you are not completely new to the trucking business, you know that there are plenty of different niches. Trying to earn money in a niche with too much competition, when you are just starting out, is complicated. Consider a niche that requires more workforce but perhaps pays less. It can help you earn some cash while getting experience and building a reputation. Obviously, any business endeavor starts with the money. You need to invest some of your bucks into a truck. While trucks are far from being cheap, in reality, you just need to find some money for the down payment. Don’t go for the old equipment even if it seems cheap. You’ll spend more time under the hood than behind the wheel. Do your research and get a fairly new model for your niche. Leave some cash for other expenses, such as insurance, maintenance, and meals. Anyone who ever started a business knows that you need to forget about weekends and vacations for at least a year. You can’t get a good reputation as an owner operator unless you put in the hours. Understanding that you might need to settle for lower paying gigs in order to get the higher pay in the future, can save you plenty of nerves. Truck drivers often have trouble keeping their families together due to long hours spent on the road. If you don’t have your family’s support for whatever business you are planning, one of them is bound to fail. So if you don’t want this to happen, make sure to deal with your loved ones beforehand to prepare them for the hardships to come. Since you are not getting a salary, you have to be ready for the slow time. You won’t always be getting enough contracts to keep yourself busy. There will be down times that you have to plan for. At first, be prepared to spend about 30 % of your time on the side of the road. Plan for the slow times when the money is coming in. If you are an experienced truck driver, you know how important the good advice is. This goes for all the aspects of the business, including accounting and legal advice. Find people who are good at their jobs instead of trying to deal with everything on your own. Being in the trucking business is profitable when you know how to find the best loads. The trucking industry profits are on the rise and getting a piece of this tasty pie is on every trucking’s company wish list. Here are a few simple tips that can make load finding simpler and more cost-effective. Dispatchers play a big role in finding the right loads. They are an important connection between the freight service and the shippers. Knowing how to talk to the freight brokers and how to get the best deals comes with experience. A professional dispatcher with excellent communication skills can get you the best job with the highest pay. But the sad part is that a majority of the brokers in this field are not good dispatchers or good brokers for the fact. Only thing they care about is to fill their pocket as much as possible drinking off the hard working people’s blood. Customer service is one of the most important departments in any company, including a trucking business. Polite, professional, and fast-reacting customer service employees are the best way to work with the right brokers. The reputation of the company relies heavily on the small things that are dealt with by the customer service department. Insuring your business is one of the first steps toward success without losses. Insuring the load can keep you out of trouble and allow you to find better deals in the future. Plenty of things can go awry with the truckers and the cargo. The damages are literally waiting around every corner. They include accidents, turned over load, fire, theft, as well as health hazards to the truck driver. Make sure that both the load and the driver are properly insured. We are not talking about paying taxes here, which you’ll doubtfully forget. 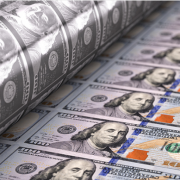 Moving loads for the US government can be a great high paying job. The government contracts are worth the time and effort, which you need to put in to get them. Regular work and impressive payments can help your company prosper. A good safety rating can help you find better paying contracts and allow your company to develop faster. Fulfill the requirements of the below areas to have a proper safety rating. While it might take some time and expenses, a good rating can help you in the future. Driver Safety Evaluation – Hiring drivers with clean crash records is the only way to go. Vehicle Safety Evaluation – Keeping the vehicles in good condition and doing the inspections on time is necessary for a good company reputation. Accident Safety Evaluation – Avoiding accidents is compulsory to have a good rating. Safety Management Safety Evaluation -High crash rates can lead to fewer contracts and lower rates. Delivering the loads on time while using the least amount of fuel and avoiding bad roads is important for developing a good company reputation. 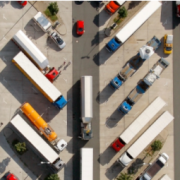 You can take advantage of trucking software to plan the most effective routes. Unfortunate mistakes newbie Truckers make can be life threatening. Any driver knows how easy it is to make a mistake on the road. However, this knowledge comes with experience. Rookie drivers tend to repeat the mistakes of their predecessors repeatedly. Such mistakes often cost drivers and company’s time, money and sometimes even health. 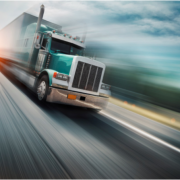 If you are just starting out on your way to becoming a truck driver or planning to hire an inexperienced employee, this information can prove very valuable. Sitting behind the wheel of a huge machine makes you feel powerful. However, it is hardly a reason to flex your big metal muscles. Bully truckers on the road are extremely dangerous. They intimidate other drivers and provoke accidents. If you feel as if you are about to get your revenge on some intolerable driver at the adjacent lane, think twice. Don’t allow yourself to become a bully. When you are looking for a job, you tend to hear all types of offers, including those that sound too good to be true. Most likely, they are. Recruiters use all kinds of tricks to attract new drivers to the jobs no experienced driver is ready to take because of a low pay, long hauls, bad equipment, and etc. Be very cautious of the “ideal job” offers and always do independent research. Even if you come home every night, the life on the road is not cheap. You need to pay for food and other services throughout the day. Truckers who don’t try to save on the road end up wondering where their salary went. Try to limit your spending at the truck stops by buying food at the grocery stores or taking it with you from home. Any newbie driver should have a couple of conversations with experienced truckers. Any professional truck driver has a trick or two to share. Rookies are often so sure of themselves that they overlook the valuable advice experienced coworkers have to offer. If you are planning to hire a new driver, try to arrange a talk with an expert. This is the other side of the advice coin. While there are many truck drivers out there, only a few are truly professional. So taking everything every driver tells you seriously is a big mistake. If the information sounds off, make sure to double check it. All people are hesitant about asking for help. Rookie drivers must learn to overcome this fear. Asking for assistance is part of becoming a professional trucker. If you have questions, make sure to voice them. Otherwise, you might find yourself in an unpleasant situation, which is entirely your fault not because you are inexperienced, but because you didn’t ask for help. You’ve got your license, passed the exams, and are ready to conquer the trucking world. Now you face a stressful task of finding the best trucking company to work for. Once you ask Google about various options, you get plenty of negative responses for any company you consider. How is it possible to tell a good company apart from an unworthy one? Here are few tips to make your search easier. All trucking companies work pretty much the same way. They try to deliver their freight as fast as possible by spending the least amount of money in the process. Before choosing the right company for your needs, determine which freight you’d like to work with. More often than not, your pay depends on the freight you haul. Tankers can help you earn more money, while dry vans are the cheapest. How much time are you willing to spend on the road without coming home? Do you want to sleep in your bed every night or is once a week good enough for you? 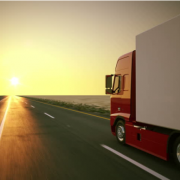 Once you determine this, your choice of the trucking companies will be easily narrowed down. Many people believe that working for a large company is the best way out. However, there are pros and cons to working in big, medium, and small companies. Medium-sized carriers often offer higher wages than bigger companies do. They also have better relations between the workers. The director or owner is easier to access and speak to if you have any issues. Meanwhile, medium-sized carriers are not always ready to offer you the type of job you are looking for. The rate in the small companies varies, but it’s often higher than in the bigger companies. Each driver in the small company is highly valued and the owners are ready to offer some benefits in order to keep you working. However, a small company doesn’t have too many drivers. Accordingly, if you need a break or a day off, you might not get it since there is no one to replace you. What kind of a truck do you prefer to drive? A brand new and shiny vehicle or an old piece of bolt bucket that needs constant maintenance? If this issue is important to you, make sure you check out the equipment before choosing a certain company. Whatever company you end up choosing, you might make a mistake. This is not a big problem. There are plenty of companies out there so eventually you’ll find the best one for yourself. Choosing the best Truck Parking Spot is tricky and requires a bit more patience. Whether you are an experienced trucker or a newbie, you are always in need of good tips to make your time on the road as enjoyable and hassle-free as possible. If your company is using trucking software to plan your trips, you’ll probably be spending less time on the road than the coworkers whose bosses are trying to save money on the newest technologies. While the company owners are looking for ways to maximize their profits, it’s up to you to take care of yourself while you are behind the wheel. What can be complicated about choosing a parking spot, you’ll ask. Absolutely nothing if you find a nicely equipped rest stop. Unfortunately, not every road or even every state is ready to provide good parking solutions for a trucker. The trucking software can help your owners plan your stops, but it’s up to you to make them comfortable and safe. Before choosing the rest stop to park, make sure you think of a list of things to do while you are there. Do some quick planning beforehand. Try to take care of such things as fuel, restroom visits, and eating at one stop. Otherwise, you’ll be losing time looking for another rest area. Take advantage of all the services at the rest area. Most of the time even the most experienced truckers don’t know how many things they can use at a rest stop. Use a rest area instead of a truck stop. Rest areas allow you to pull through to a parking spot so you don’t have to back up. More accidents involving trucks happen at the truck stops than at the rest areas. When you have a choice, never park at the end of a row. End of a row is a high traffic area. At the same time, many tired drivers choose the end of the row. By avoiding it, you’ll keep your truck safe. Try to park so you don’t have to back out. Obviously, you’ll have to back out many times throughout your careers, but each time puts you into a certain danger. Try to minimize this danger whenever you can. Choose a “pull through” or a “back into” option when parking. When choosing a parking spot, make sure you don’t park across from the trucks that will need to back out. By not parking this way, you are taking your truck away from the “line of fire”. If you don’t have a choice of a spot and need to park next to an oddly parked truck. Make sure to write down its name and the DOT number. Try to find the spot with a lot of space around you. Such spaces are usually available in the back of the parking lot. Think about the safety of your vehicle rather than the extra 3 minutes it will take you to walk to the café. If your company is advanced enough to use trucking software, ask for help when planning your stops. 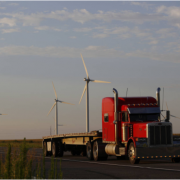 The more convenient the truck stops and rest areas are, the more chances you and your vehicle will be safe. 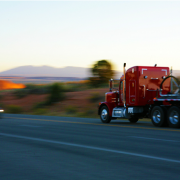 Even the most experienced truck drivers can practice dangerous behavior on the road. After all, truckers are human too and their road behavior may depend on many factors. However, forgetting to act safely behind the wheel can lead to unfortunate consequences, some of which won’t be easy to fix. So even if you are a seasoned trucker, you might benefit from reviewing these simple rules. When you are on the road, you are in danger 100% of the time. Many drivers neglect to wear a seatbelt when they drive “just for a few minutes”. It only takes a second to get into an accident. While you should review you seatbelt-wearing habit, you should also think about your passenger. It’s your responsibility to make sure that the passenger’s seatbelt is fastened. This goes for adverse roads, bad weather conditions, and dark streets. You must reduce your speed by 30 % when you are on a wet road. A snowy road signals about reducing your speed by at least 50%. Obviously, driving on an icy road should be extremely slow and cautious. Don’t forget that the roads get especially slippery when it just starts to rain or snow. Exit and entrance ramps must be approached at a slow speed. Many truck accidents occur on the ramps when the driver can’t evaluate the curve sharpness and enters at a high speed. Don’t follow the speed limit you see on the signs before the ramp. These signs are for smaller vehicles. You should reduce the speed even further in order to avoid a rollover. A loaded trailer has a high center of gravity, which means any sudden speed changes can cause load shifts. As a result, a truck can skid or even, roll over. Consider adjusting your braking distance when you carry a load. A driver of a heavily loaded trailer should consider a 20 % braking distance increase. If you see a work zone, you should immediately adjust your manner of driving. Many deaths in work zones are caused by truckers driving large vehicles. You need to be extra careful about the speed when you are entering a work zone. Be ready for sudden lane closures and always be prepared to stop. A recently conducted study showed that more than 600,000 lane-change accidents happen on the USA roads every year. They can be avoided just by using the turn signals. It’s imperative to show your intent to make a lane change before doing it. This is a simple truth, but unfortunately, many truckers disregard it. Checking the mirrors is one of the first things you learn when you start driving a vehicle. For some reason, it’s one of the rarest things some drivers do when they are on the road. The mirrors have to be checked at least once every 8 seconds to avoid accidents. 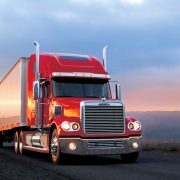 Most people believe that a truck driver is simply a guy (or a gal) sitting behind a wheel of a large vehicle and driving hundreds of miles a day. Essentially, this is true. However, not all trucking jobs are created equal. They vary in intensity and pay as well as benefits. Whether you are just starting out on your way to becoming a trucker or getting ready to change professions, you might want to get a better idea of the various types of trucking jobs. These truckers work with heavy trucks carrying various loads. They usually drive for long periods of time, be it within the state or interstate. The work schedule of long-haul truckers can vary greatly. Some come back home the same night, others travel for days or weeks at a time. Long-haul drivers often work in teams in order to avoid layovers. These truckers work with all types of trucks from heavy to light. They usually have regular routes for pickup and delivery of various goods. They make several stops a day and have more interactions with the clients/customers than the long-haul drivers have. Such truck drivers can earn more money if they also have sales skills. These truckers transport unusual loads, including oversized or sensitive materials. They work both within the states and between them. Such drivers often need extra training to learn how to operate the equipment that handles the specialized loads. Depending on the type of the load, various permits might be required. These drivers require training to learn how to handle hazardous loads. They need to know the characteristics of the materials they are carrying and how to handle them safely, as well as how to act in an emergency. 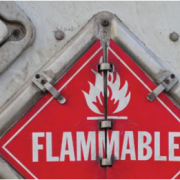 Hazardous load truck drivers must pass an extra test when applying for CDL. One of the highest paid hazardous load truck drivers are tanker drivers. They have to deal with liquefied or gaseous loads. The high wages come from the danger such truckers face if the load is not handled properly. The containers these drivers carry can be either pressurized or non-pressurized. Such containers make the driving harder. Meanwhile, tank truck drivers risk their lives. These truck drivers deal with refrigerated containers. They haul them to different destinations, both within the state and out of it. 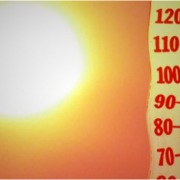 Temperature sensitive loads need special attention since they can spoil if carried too slowly. That’s why such truck drivers are obliged to keep to the time limits. These drivers operate flatbed trucks that are usually used to load construction materials, such as pipes, wood, timber, and more. 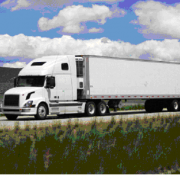 Improperly fastened cargo is one of the main reasons for accidents caused by the truckers. Before choosing a trucking job, make sure you have the proper permits and ask yourself whether you are ready to execute dangerous tasks.